Up Close and Personal: Get To Know Our Tinctures! Home/About Us, Healthy Lifestyle, Tincture/Up Close and Personal: Get To Know Our Tinctures! One of our very top selling products is our Pure Hemp Botanicals Tinctures. With so many different options (8 total) it can be intimidating for some to dive into! I thought I would take a moment to introduce all of the different tincture options that Pure Hemp Botanicals has for you! To start we have two different TYPES of tinctures and each of them has four different DOSAGES. It has 300mg, 750mg, 1500mg and 3000mg dosages. 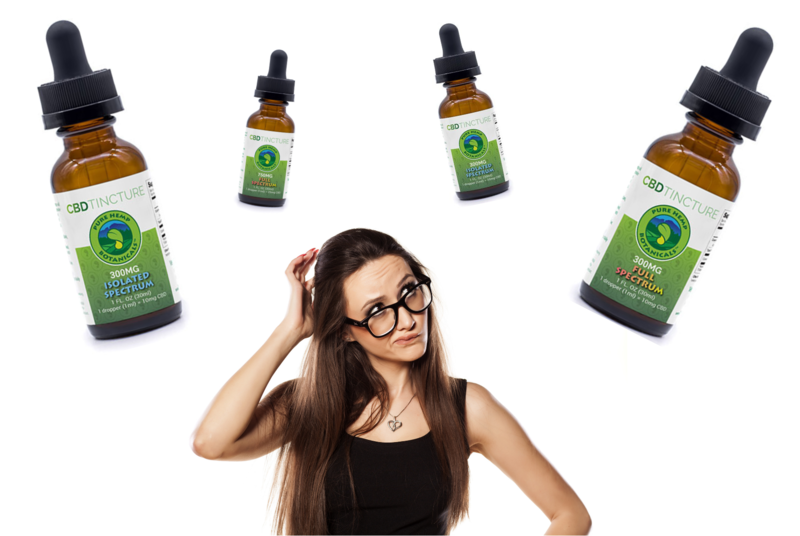 The Full Spectrum Tincture will give you the maximum legal amount of all the different cannabinoids hemp has to offer which will result in the “entourage effect.” It is non-psychoactive and can be consumed in food, taken under the tongue or used topically. It also has 300mg, 750mg, 1500mg and 3000mg dosages. 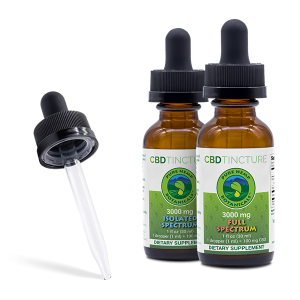 The Isolated Spectrum Tincture gives you the absolute purest CBD tincture you can possibly get. It has non-detectable levels of THC and is ideal for those who would like to steer clear of that specific cannabinoid. It’s also non-psychoactive and can be consumed in food, taken under the tongue or even used topically. While the type of tincture you buy is completely up to you and personal preference, the amount you need is going to be based on your body and it’s needs which can be hard to know until you try it out. It’s always recommended to start out low and work your way higher in dosage. Every single person’s endocannabinoid system and body is different which means that while the 25mg (750mg bottle) would work for Jeff, Susan might need the 50mg (1500mg bottle.) If you start at the high end you’ll never know if less would have worked just as well! How you use your Pure Hemp Botanicals tincture is also 100% up to you! The fastest way to get it into your bloodstream is by taking it sublingually. To do this you simply put it under the tongue and close your mouth. I usually wait 30-60 seconds before swallowing after doing so. You can also use our tinctures in your favorite foods or drinks! We post a weekly #FoodieFriday recipe and more often than not the tincture is highlighted in them. Just keep in mind you want to add your CBD to your food/drink AFTER you’re done cooking and it’s had time to cool a bit. You never want to add the CBD prior to the cooking process. Another amazing way to use our tinctures is topically. Have a burn? Put a few drops on it. Bee or wasp sting? Tincture to the rescue! The options are endless!